Spring 2015 marks the 70th anniversary of the liberation of the Nazi death camps, the death of Anne Frank, and the end of World War II in Europe. We take a look at the city Anne called home for her short, but inspirational life. 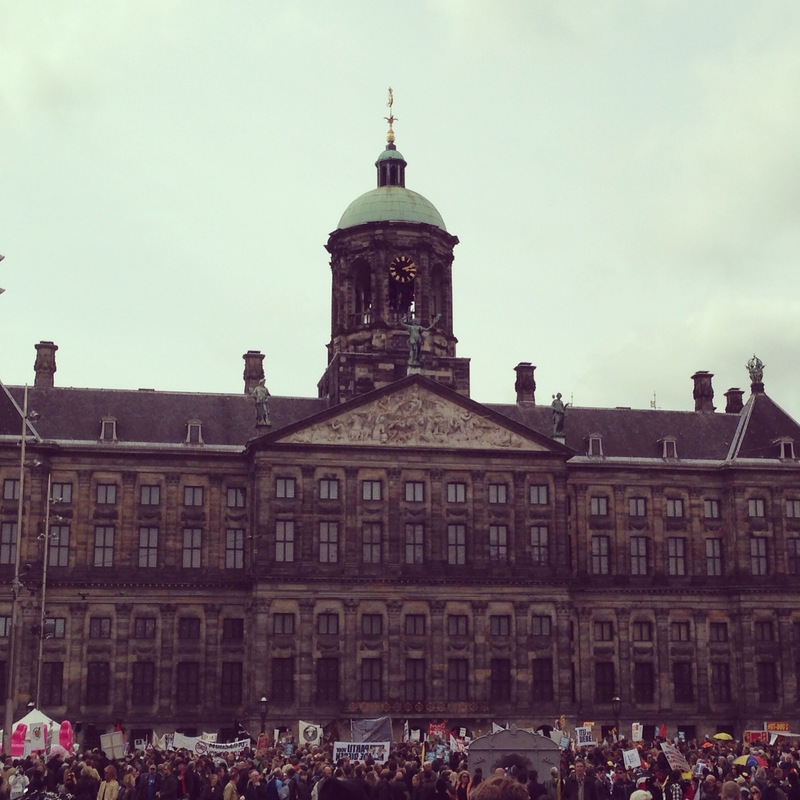 On the day we arrived, there was a small demonstation happing on Dam Square. 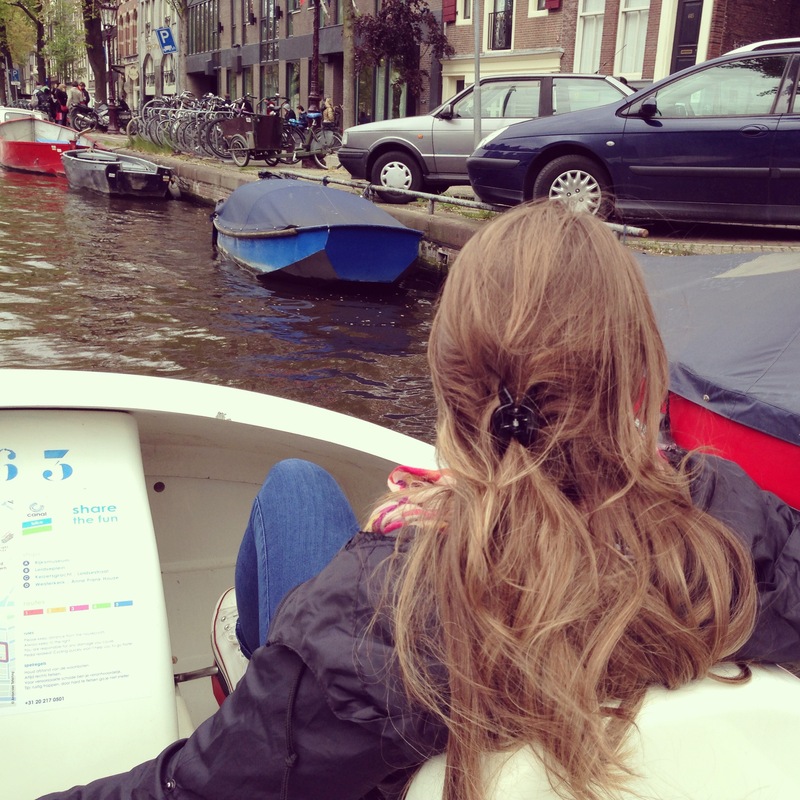 Renting a pedal-boat is a great way to see the city! Hop aboard and be skipper for the afternoon! 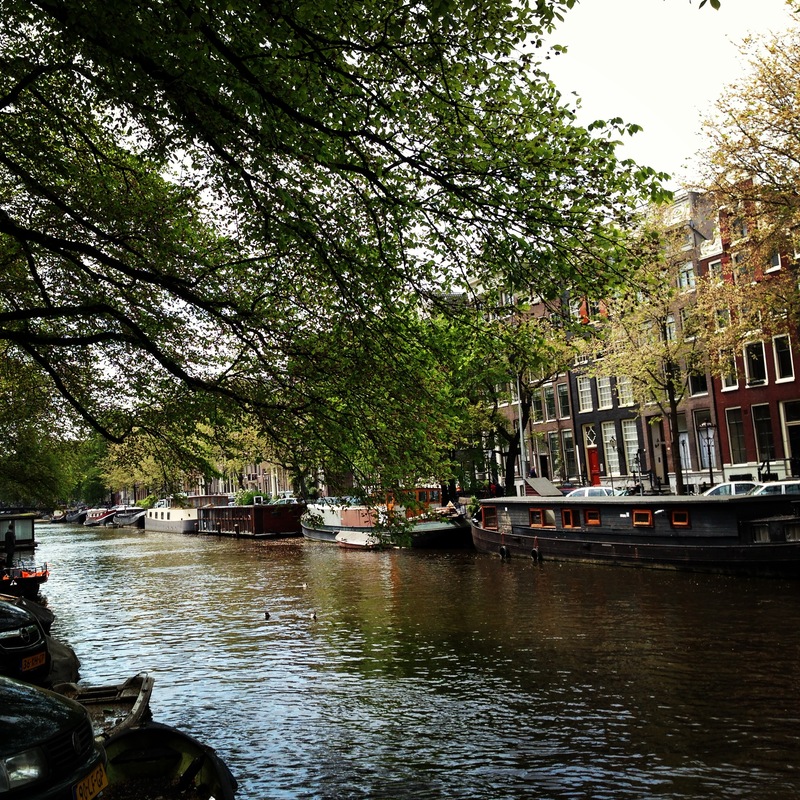 The canals and the narrow houses that line their banks sets the iconic scene for Amsterdam. Every corner and bridge looks like the last, but beautiful overhanging trees and distinctive boat homes helps you get your bearings. Souvenirs a plenty! 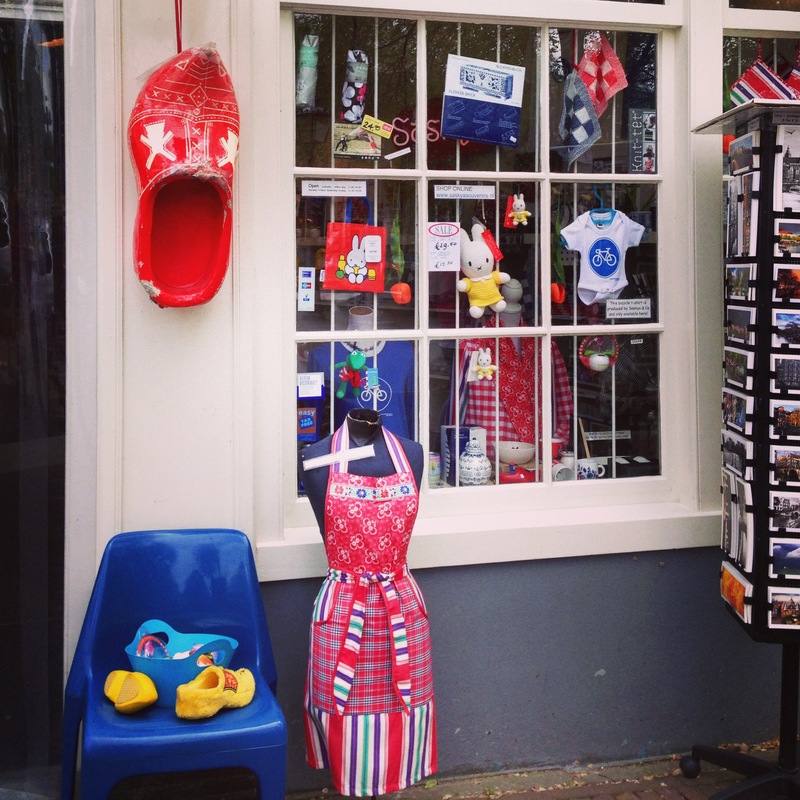 Check out the adorable hand made clogs and wooden trinkets in the tiny shops around the centre. One of my favourite things about the architecture in Amsterdam is that not all the canal houses are the same height or size – this grey house looks like it’s being crushed by the two larger homes! 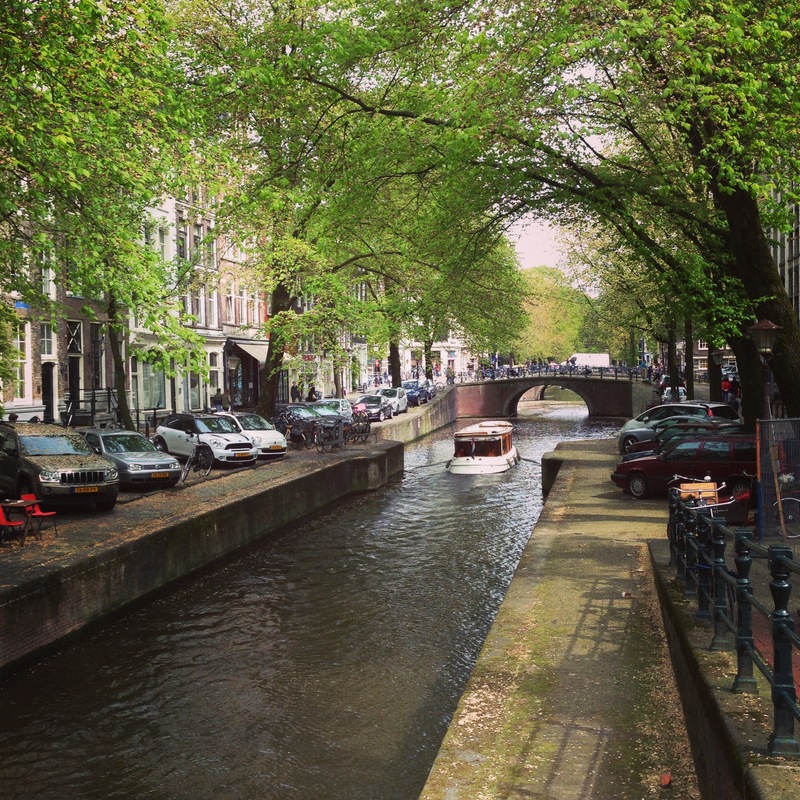 More canals! There are plenty of hop-on-hop off boat tours to explore the city if you don’t feel like cycling or pedaling your own boat! 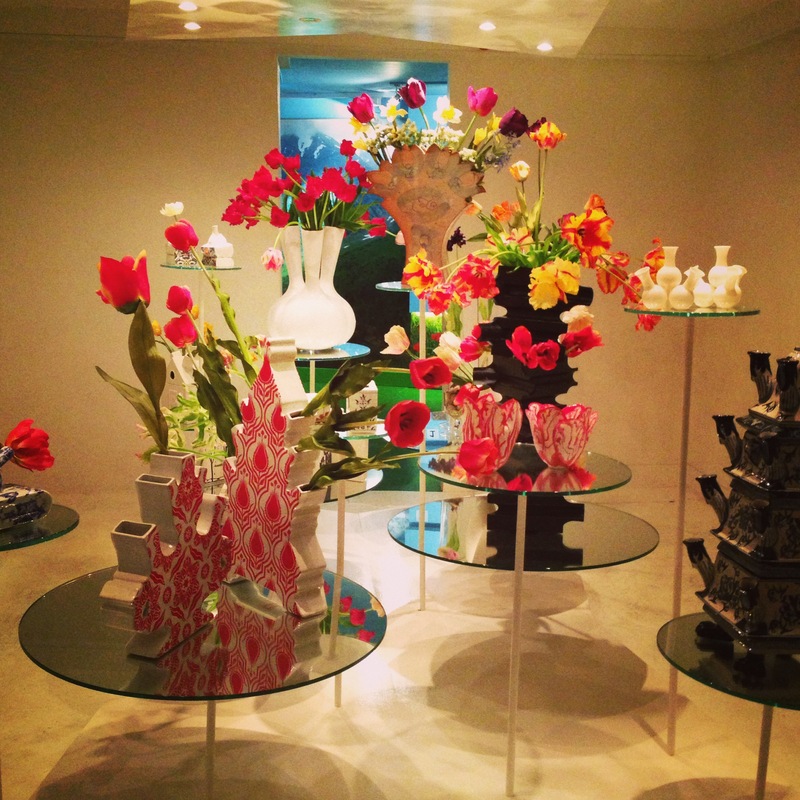 Another, more playful, museum in Amsterdam is The Tulip Museum. About €5 to enter, and you can see some of the brightest tulips The Netherlands have to offer. Still looking for a way to see the city? 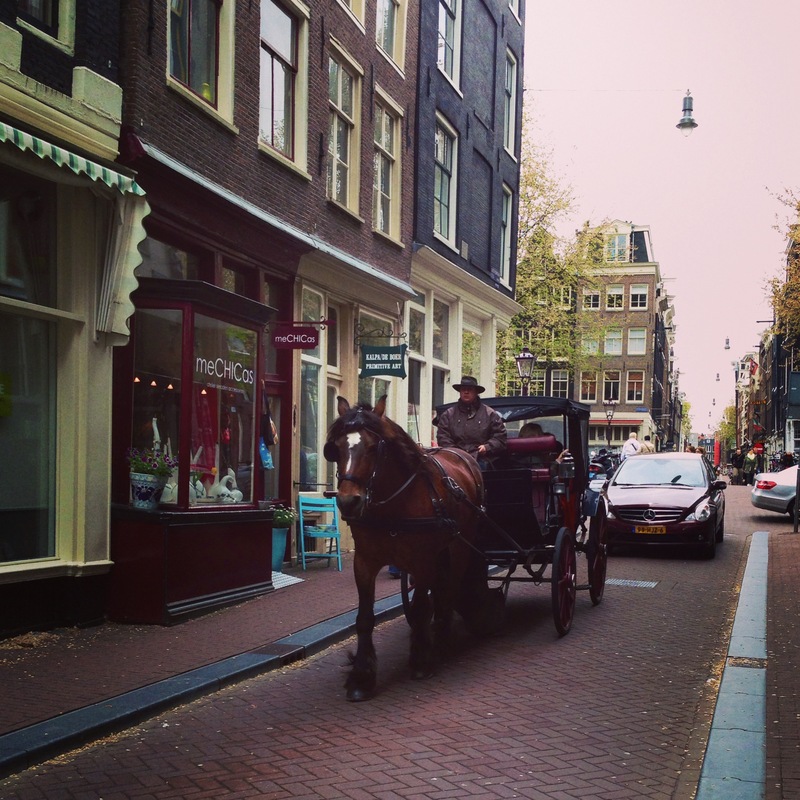 How about horse-drawn carriage? 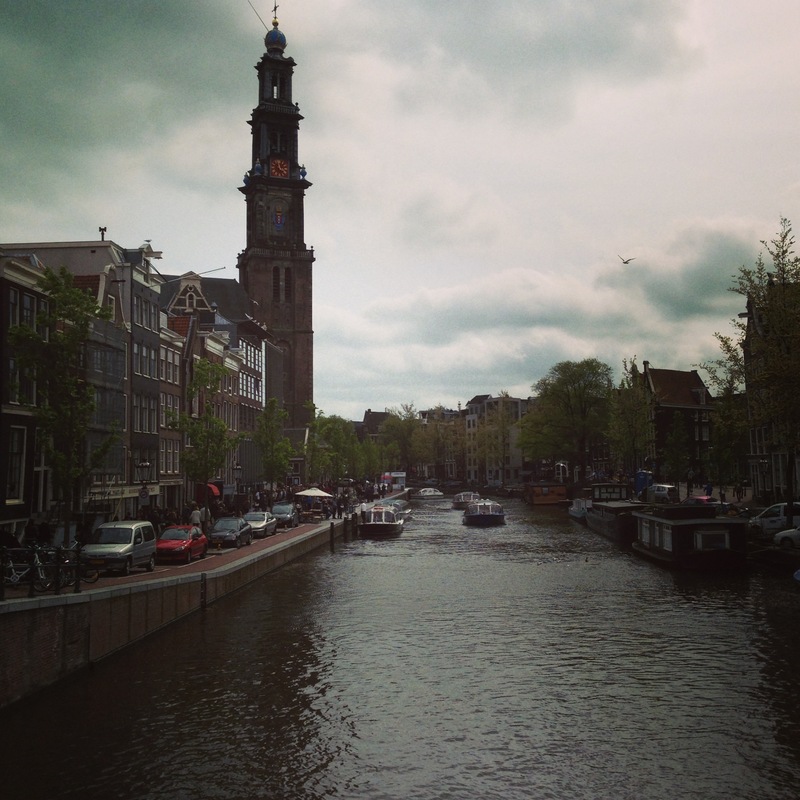 Amsterdam is one of my favourite places. 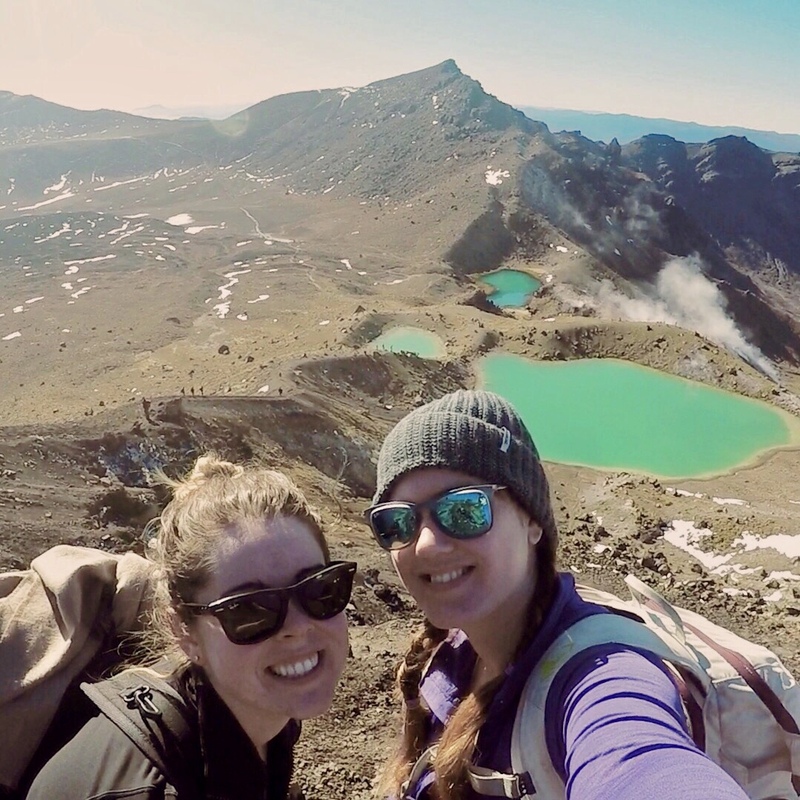 Lovely to see your photos! Thank you! I was only there for a couple of days but it was beautiful! Hoping to get back again when the cherry blossoms that line the canals are in bloom! Lots of ideas for a visit, thanks for this. I was heart broken to read this week that the last time Anne was seen, she was severely emaciated and wrapped in just a blanket – a sad end for such an inspirational young woman. However, her legacy lives on and she will never be forgotten. I think we rented them just outside of the anne frank museum actually, but they have ‘ports’ all over the city so you can pick then up one place abd drop them off at another! 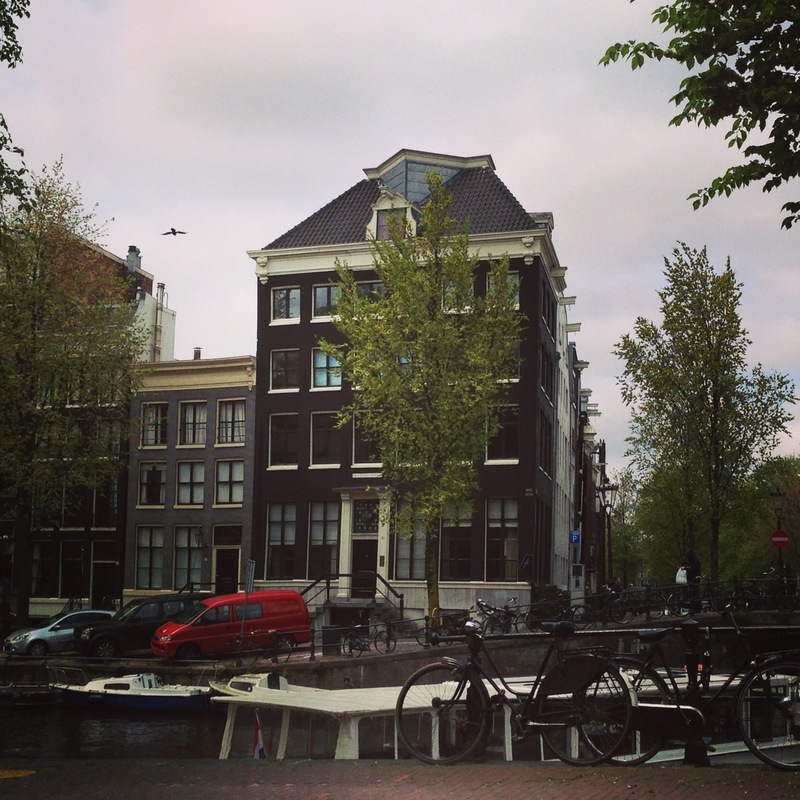 I think the company was called ‘canal bikes amsterdam’ but wherever youre staying should have details of your nearest pick up spot – our hostel actually gave us a 10% discount card so worth asking! Hope you have a lovely time there!